A convicted hitman of the violent left-wing group November 17th who once was Greece’s most-wanted terrorist was granted a two-day furlough from prison Thursday, creating an international firestorm of criticism, as well as a heated debate at home. Dimitris Koufodinas is serving a life sentence for taking part in almost a dozen assassinations attributed to the terrorist group that targeted Greeks and foreigners, including American and British nationals serving in various capacities at foreign embassies in Greece at the time. The U.S. State Department was quick to condemn Greece’s action, taking to Twitter to release a video statement. November 17th’s victims include several Americans, whom current U.S. Ambassador to Greece honored in his protest Tweet with a photo of a marble plaque placed at the Embassy in Athens in their memory. 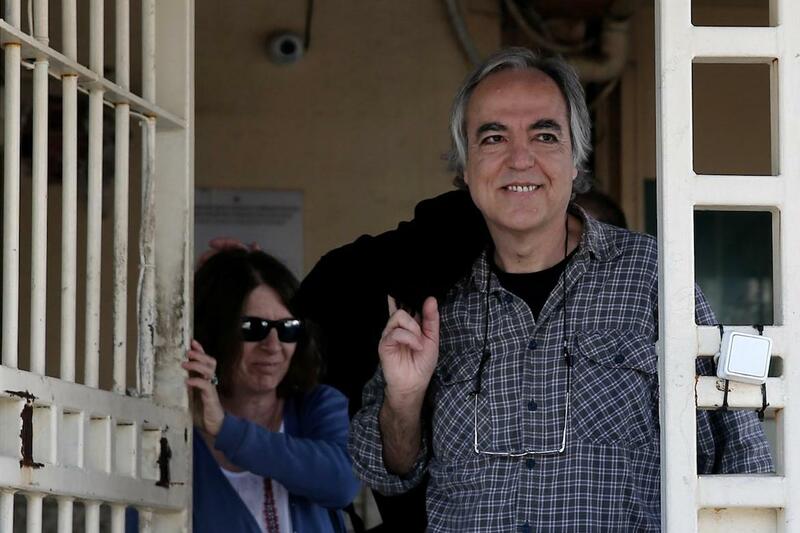 “I add my voice to those from across Greece’s political spectrum deploring prison council decision to release a convicted terrorist, murderer & N17 leader. Our democracies rest on independent judicial institutions, but today’s furlough dishonors the victims memory & their families,” stated Ambassador Geoffrey Pyatt via Twitter. Koufodinas’ victims also include the brother-in-law of the current conservative Greek opposition leader, Kyriakos Mitsotakis, who described the furlough as “inconceivable” on his Facebook page.